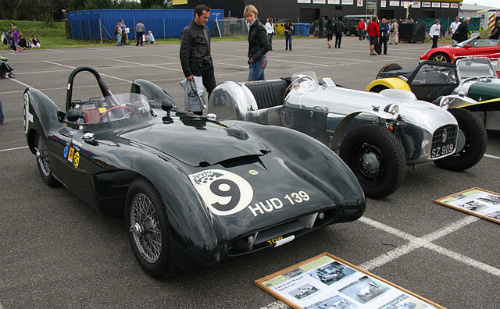 In 1954, Colin Chapman introduced his first enclosed sports car racer, designated the Lotus Mark 8. It incorporated an aluminium body on an extremely light steel space frame chassis, and was powered by a modified MG 1.5 litre engine. 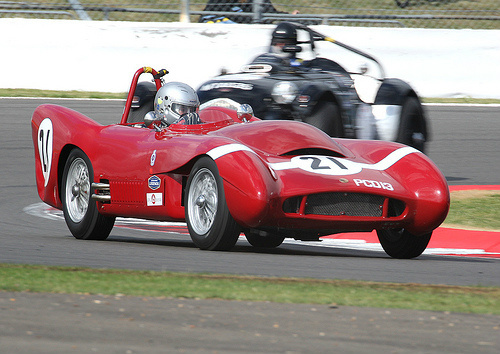 Later that year, the car was raced at Silverstone where it won the 1500 cc class outright. Only seven Mark 8's were built. 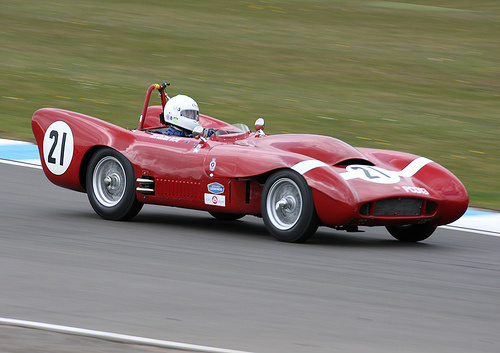 Similar to the Mark 8, it was quickly succeeded by the Mark 9 racer, with a tubular space frame chassis, and powered by a Coventry Climax 1098 cc engine linked to a 4-speed manual gearbox from the MG TF. A Mark 9, driven by Colin Chapman himself, and fitted with disc brakes, was entered in the 1955 Le Mans 24 Hour race, but was disqualified. About thirty Mark 9's were built. Further evolution of the Mark 8 and 9 sports cars culminated in the 1954-55 Mark 10, which differed solely in the use of a larger 2 litre Bristol engine which certainly enhanced its performance. Early magnesium wheels were later replace with steel equivalents. Once again, only around seven of the Mark 10's were built. An inexpensive and enjoyable entry point into motor sports, the Mark 8-10 sports cars formed an excellent basis for the weekend racer.